America’s favorite pickup truck for over three decades running gets even better in 2018. The all-new 2018 Ford F-150 arrives with best-in-class towing capacity, best-in-class payload rating and several engine and configuration options to achieve maximum versatility. Available in 7 trim levels beginning with the budget-friendly XL and climbing all the way up through the fully decked-out Limited, the 2018 Ford F-150 is a truck for everyone. For 2018, Ford has made some great improvements to the already solid 2017 Ford F-150. The overall weight of the truck is reduced allowing higher payload rating and faster acceleration. New engines join the lineup as well, with drivers able to choose between five gasoline engines and an upcoming diesel model. Power begins as a capable 290-horsepower and is available up through 450-horsepower for the toughest jobs. Up to 510 lb-ft. of torque are available on the 2018 Ford F-150. Having a pickup truck means never having to stop because you’re short on utility. Whether you need to tow a 4-ton flexographic press cross-country, or are taking yard waste to the dump, a pickup truck is the best way to get the work done. Even better is a pickup truck with a sterling record of reliability, best-in-class utility ratings and available active safety features like Pre-Collision Assist with Pedestrian Detection and Adaptive Cruise Control with Stop-and-Go. Beyond features, the 2018 Ford F-150 is available in the off-road ready Raptor model. This trim level features an impressively stocked 450-horsepower, high-output 3.5L EcoBoost® engine with Torque-on-Demand® transfer case. BFGoodrich® all-terrain tires are standard, as are Fox Racing Shox™ and more. 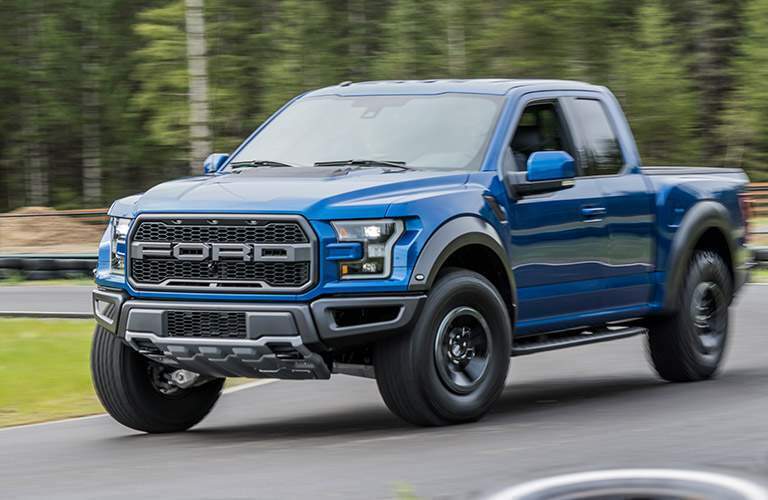 On the outside, the 2018 Ford F-150 Raptor contains an aggressive design that lives up to its name. This trail warrior is ready for any challenge. 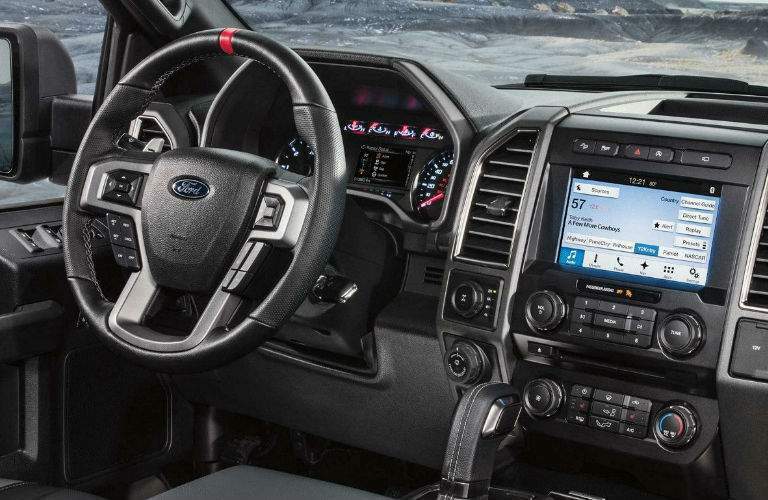 On the other end of the spectrum, the 2018 Ford F-150 Limited is as tough as your job needs to be, with several interior refinements that make driving the 2018 Ford F-150 Limited a smooth and comfortable experience. 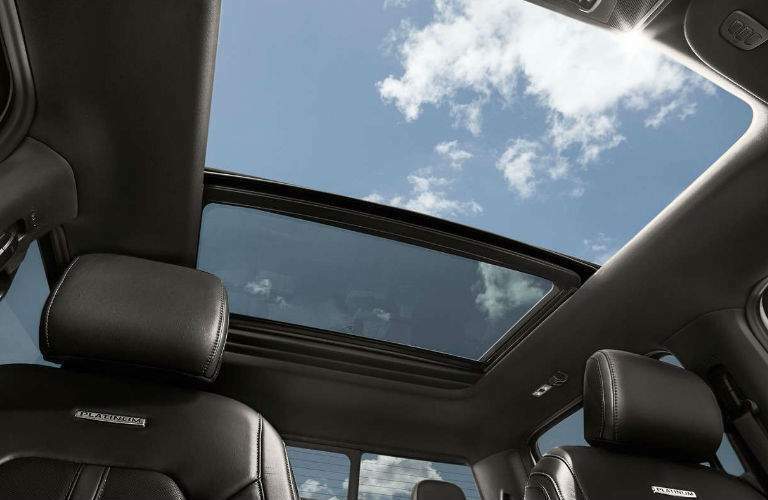 Among these refinements are a twin-panel moonroof, satin finish grille, SYNC® 3 infotainment system, leather seating and more. The 2018 Ford F-150 is a vehicle for anybody. With dozens of trim, cab, bed and engine configurations, there’s a 2018 Ford F-150 out there for you. 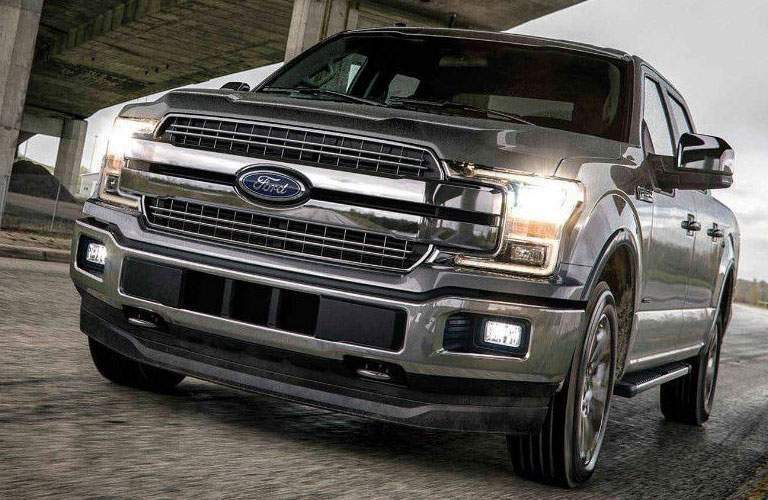 To schedule a test-drive, or for assistance with questions about the 2018 Ford F-150, contact us today! What is the Payload and Towing Capacity of the 2018 Ford F-150?